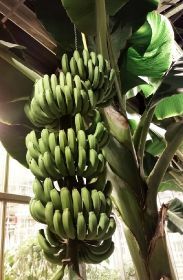 In the greenhouses of an experimental farm in Wageningen, a crop of 60 banana trees has been grown using coco peat and rock wool. This has allowed the bananas to grow without the settlement of the aggressive fungi. Kema said the experiment had appeared to be very successful, and the plants have grown very well with the addition of a nutrient solution. 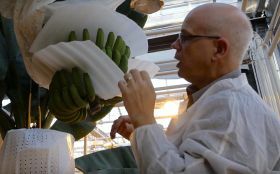 Bananas harvested from the crop will be distributed through local supplier Boerenhart, who were involved in the project, and offered to restaurants and hospitals in Wageningen as a ‘regional product’. After being picked they will be ripened at a nearby Chiquita centre. Partners of the project, Wageningen University & Research, Boerenhart, Triple20, Keygene, and Chiquita are interested in taking the development further. "One of the things that we have learned is that the plant density is too high at the moment. We are going to adjust that, so that we will have more light and the bunches will be able to ripen faster in future experiments", noted Kema. Kema also said a trial is being planned in the Philippines, to see how precision cultivation works under ideal conditions.